My company is making me use this app. Absolutely, horrible and I hate and don’t recommend it!!! Spent hours trying to figure out why this app could not be configured on a new XS Max, to find out from our IT department that it is not yet compatible with the new iphones. Have to go back to the old phone. If the problem is difficult to fix, maybe a meaningful error message would reduce frustration in the meantime. Please allow support for iPhone Xs. Just bought an iPhone 10S. Using same iOS as my previous phone. Now my IT group claims Airwatch does not support it. GREAT! Hard to know where the fault lies - with AirWatch or our IT dept but haven’t been able to use my new iPhone xs for email or calendar since I bought it. Can’t get access to my work emails after phone upgrade. Thanks, Airwatch! Installed this app, per my company IT policy only to learn that it is not yet compatible with iOS 12 iPhone XS Max. Now, I cannot get my emails, calendar updates or contacts. USELESS! Why make such a thing for schools that blocks websites that could be used for study and students being forced to find a way to exploit it somehow? Just got a new Xs phone and cannot access my work email. Please update!! Haven’t been able to load the profile since I got this phone a few days ago, I’m assuming it is a compatibility issue with the new device? I am able to load the same profile on my iPhone X with no problem. I get through all the prompts, but get an error right when I try to load saying “Invalid profile”. Hope there is an update soon! iPhone XS and XS Max?!? This app needs to update to be compatible with the new iPhones ASAP. Apple is the biggest cellphone company and you don’t have your apps ready?!? Not compatible with the new iPhones?? Seriously? The air watch app is currently not working on the new iPhones and needs to be updated. What a joke! Wish I would have known this before I got my iPhone XS. There were multiple betas. So lazy to not be ready. Unprofessional. Stupid, but forced to use it. Work makes me use it. But it’s a terrible app. As the app has not been updated to work with iOS 12, i have been unable set up my work email on my phone, which is causing me some major inconvenience. Still no fix for the inability to change notification tone. If funny to watch a room full of employees simultaneously look at their phones. Three attempts and your content is gone. Difficult thing I have run in to is using the correct password and you still can’t access your iPhone. The fun is in the guessing... is this go when I get to have my phone wiped clean again I start all over. Lighting strikes again. It’s a scary thing to run. It claims to have access to location even though it doesn’t show up in privacy. Installation of “approved” apps through it almost always fails. It tries to get access to my personal contacts, email, and calendar. when it has no reason to do that. Even more, the profile it installs can bypass all sorts of iOS protections, and there’s no way to find out the details. I am always amazed at how many different ways the government manages to further deprive employees of resources. But switching from Goode to Airwatch they’ve done it again. You can’t access the intranet or even take a screenshot. Way to go! Grants me access to work email, calendar, etc. and has never caused an issue on my phone. It is the worst like what?!??! This app is the biggest piece of trash I have ever seen. I can tell that all of the 5 star reviews are from employees, so I really look at this app with a 1 star rating overall. My company distributed us new work computers and iPads to use, computer in the office and iPads at home. This app makes everything so F*CKING awful it’s not even funny anymore. The support on this app is just terrible, and the fact that it drains the battery so much faster than it should is laughable. Not only do we have the issue where clients emails get blocked due to this smart*ss app blocking their server, but the biggest thing is it won’t recognize me and my WiFi, which completely ruins the whole point of working at home. We are getting laptops in about a month so we can actually work. This app is terrible and never should have existed in the first place. Absolutely terrible software. With password changes only comes headaches with losing access to work email and being locked out of the computer system from agent entering the wrong password over and over. Currently have no way to put in the correct password. Adding it slowed my phone down, asked my contacts without my permission, created a duplicate for my emails, altered my phone log such that a call I received did not show up on my call log. I email the help desk with my concerns and... The email bounced. Multiple times. I would give zero stars if it was an option. If there is a benefit I have not yet seen it. Constantly logs you out of your corporate email and calendar for seemingly no reason, and have to delete the managed profile and set it up all over again to fix it. The worst part is setting up a new advice usually results in breaking the profiles of your existing managed devices. I recommend looking elsewhere. The negative complaints are due to the reviewer’s IT department’s configurations, not the app itself. I cannot they would release something so poor. My email, and my email automatically wanted to fill, but tapping anywhere on it made it disappear, so kinda frustrating. Why is this app in my phone? Say goodbye to your battery life. I had this app on my old phone and immediately noticed that my battery life decreased dramatically. (Less than 5% before noon.) Just got a brand new phone, battery life was amaaaazing - until I put this app back on. Now it’s killing my battery life as fast as it was on my old phone. Ever since this program switched over push notifications no longer come through my work email. It is very frustrating having to go in and pull down to refresh all the time. Before the emails came right through. I think the developers should take a look at all the comments and begin to make a fix for all the listed problems this app has. Doesn’t work on latest iOS release 12.1.2. When it was AirWatch, it worked 70% of the time. Now it doesn’t even let you signup. I would suggest to other companies to switch to MobileIron. Much better experience. Fix this app for iPhones!! My employer has sadly used this horrible app for accessing Outlook and I get errors constantly trying to view work emails. I have to call into my IT group to delete everything and reload it. IT has said problems are only with iPhones and not Android. You’re excluding half, if not more, of the workforce. FIX THIS!! Blatantly invasive. Total productivity killer. If this doesn’t make you feel sick you’re not paying attention. Use your vote and your voice to support legal efforts to hold people like this accountable for your lost privacy. The latest version on IOS 11.3 broke the integration of all apps to iPhones contacts. If you use a single contact folder then do not install this app as your contacts will get isolated. App crashes none stop. Notification is behind by ten min or so. Not friendly to use attachments. This product is actually garbage. The environment that were in, CN274, is full of problems. Every other enrollment fails and causes more problems that this mobile device management “solution” is supposed to solve. We’re stuck with it because our genius purchasing guy renewed for another 3 Year’s without talking to me. The support is even worse. When trying to set up app policies, the support jackass wiped a 3rd of our iOS devices. It could have been more if I didn’t disable his compliance policy in time before it reached it to all of our iOS devices. The account administrator didn't seem to care one bit after informing him of this. Stay away. Guaranteed to turn any productive iPhone into a Brick. This app is largely selected as a risk management tool by IT security types with relatively little understanding of iphones. No significant user improvements in the past 2 yr. The Airwatch PDF reader and document editing tools are poor and lack the functionality or intuition iPhone users expect. The data encryption is cumbersome, awkward and time consuming. Every attachment takes and additional 15-30 seconds for password entry and decryption. (Even "touch ID" would be an improvement.) The productivity drain for someone who works for hours a day on the iPhone is significant. This app crashes frequently...especially opening its own encrypted files. Our phone carrier has strongly advised against its use. A significantly lacking tool that users and demotivates employees and savvy road warriors from doing all but the most urgent work. This application really extracts a heavy hidden cost thru employee frustration and non productivity. This is one of the worst apps out there for management. It completely drains my iPhone 6 and iPad Pro’s battery really fast. It also makes my phone crash. Can’t use many useful feature is on your iPhone like emailing your notes to yourself or someone else can email pictures from texts to anyone either. Lags when syncing with email. App is useless. Only have this app as was pushed by IT department. 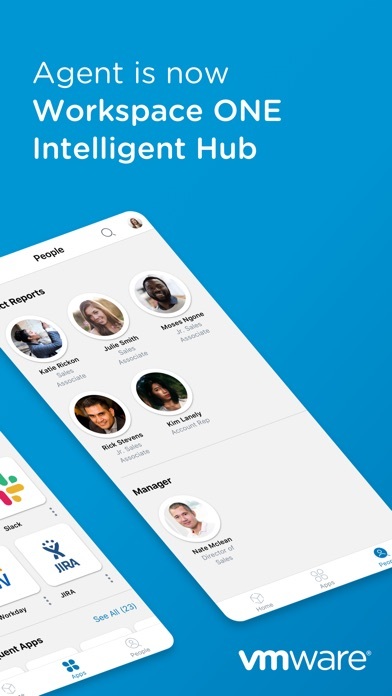 This app after changing its name to intelligent hub becomes problematic and has many bugs. It seems not compatible with new iOS. Clearly no one has tested this with the iPhone XS Max - profile will not install. So this app is useless until they release an upgrade. Surprising the App Store and VM Ware would allow this to be released since it does not support the latest iPhone hardware. How do i get this app to work on my XS MAX? I always get invalid user credentials error occurred message every time and i know i am entering my info correctly? Does not work the iPhone XS Max... sooo frustrating!! Wish I had known that before upgrading my phone. Before this upgrade, anytime I changed my Outlook password, I was prompted automatically to change my password on the app. Now I just have an error that I can’t connect to the server. After installing the profile, this app wiped my entire device. I lost all apps and data. This may be VMWare incompetence or my own IT...but either way BEWARE! Nothing but performance issues on my XS Max with this corporate spyware app. I will echo many of the others. This version does not install profile for iPhone XS. It fails to install every time. Was able to enroll 2017 iPad just fine, but no luck for the XS. Please fix this. It is way overdue. I’ve already advised my enterprise service center of this oversight. This app was formerly called “Agent”, and was required by my employer. It has now been renamed and has been bloated to include dozens of features that I have zero interest in. Worst of all, it is stuck trying to upgrade/install. It’s been 4 days and there is no install progress. Ditto the others who had problems installing on a new device. The profile refuses to install. That said, even on my old device this suite was barely usable. I could get my email, but that's about it. It would redirect links to is own browser which almost never worked. Any useful information contained in an email can't be used elsewhere because it can't be saved outside the app. It also doesn't allow you to use third-party keyboards which can be a pain (once you get used to a swipe-style keyboard the iOS keyboard is not attractive). Not compatible with the IOS 11.1. We have 9 iPhone X’s so far at my company and two of them with the latest Agent app have unenrolled with compromised detection. Just a heads up and hopefully there will be an update to fix the issues soon! It’s not compatible with IOS11 and IPhoneX. This app breaks my phone/watch connection. Ever since this app updated to 6.0, I have been unable to use Siri to set reminders with my Apple Watch. I know it sounds TOTALLY unrelated and I don’t really understand how it works myself. I have factory reset my phone and it worked perfectly fine until I installed my employers profile using this application. Something about the install of the profile breaks Siri’s ability to write reminders to my iCloud account using Apple Watch. It’s totally bizarre. Developers, can you fix this somehow??? 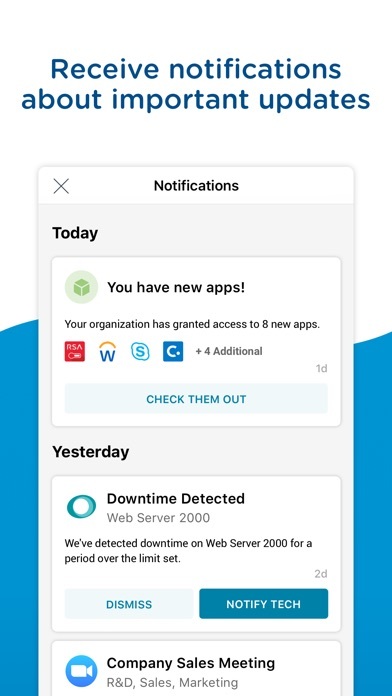 AirWatch interferes with the syncing and interaction of iCloud reminders on Apple Watches connected to iPhones with AirWatch installed. Please fix! Downloaded the latest IOS update today and it fixed the messaging issue! I'm still waiting to update to iOS 11 because everyone at work who has, says it breaks standard features of their Phone; messaging, caller ID/Contacts, etc. but there's no acknowledgement of this here or on the AirWatch website. Tried to enroll new iPhones but not working. Nice update that doesn’t address the main issue of not working with any new iPhone. Horrible. I work for a company that is trying to deploy the new iPhone XR, but when trying to install Hub on them, they get the Profile Installation Failed error. 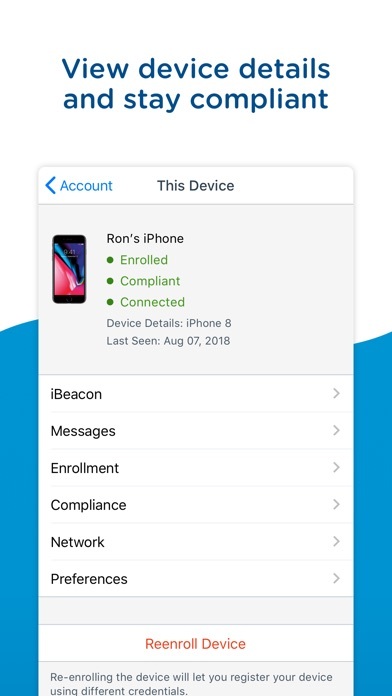 Airwatch works fine on the iPhone 8, but not installing on the XR or the XR Maxx. This is an issue that needs to be resolved! I can access our corporate network and email, but NOT the tool I really need to do my job—our sales force CRM. It worked until I updated the software on my phone. Now? Nothing. I’m back to dragging my laptop everywhere and fumbling through dual authentication every time I want to access my sales portal. Not even my iPad will connect with it. This needs to be fixed right away. Most people are using iPhones / iPads. This is a dealbreaker for us. Airwatch is not working with iOS 11. It blocks the use of messenger from many apps (Photos, contacts, maps, etc). Airwatch blames Apple and Apple blames airwatch. As it stands right now I cannot access messages within the share sheet on iOS11. Given this is a functionality killer, 1 star. Will revisit review once bugs are fixed. It took them a good 2 weeks to push an update since the release of the new iPhones, but guess what?? They haven’t added enrollment compatibility for the new iPhones on this update either. This is beyond frustrating!!! I previously relied on this stupid software to push my work emails to my phone as that’s what our IT Department has decreed, but for the past two weeks, I have had to open up safari, use two-factor authentication every single time and then log in just to glance at my emails. Apparently VMware, despite being a big player in this sector, doesn’t give a rat’s furry backside about iOS users. What is the point of a mobile device management app that doesn’t work for a mobile device??? I would give it zero stars if I had the option to do so. I got a new iPhone XS and this app doesn’t work with new phones. When will you have an update so the share feature will work? This app is HORRIBLE!!!!! This app was just released and replaces the AirWatch AGENT. How are there reviews from a year ago and beyond? This will natively transform SSO access into any app. Great experience, so far. Amazing! Enrollment was so simple. 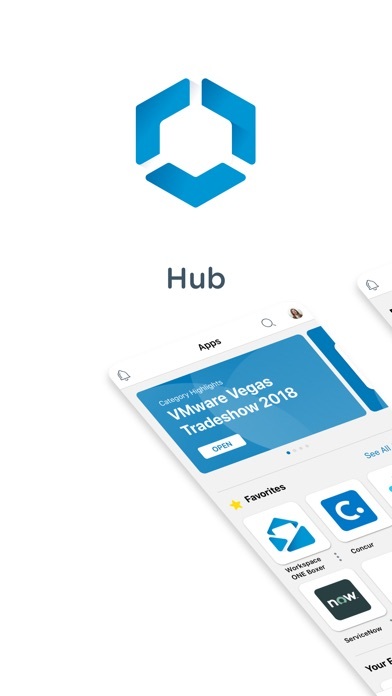 To keep it simple for you all, I work at Walmart and I have enrolled in their BYOD program via VMware’s Intelligent Hub... It couldn’t have been a simpler process. Thank you! You can go thru all the prompts then it tells you “invalid profile error”. Please update and fix quickly!! Issue with photos app not being able to share via messages with iOS 11. Huge issue and functionality killer. This company obviously doesn’t beta test to have just a glaring omission present. Fix it!!! Doesn’t work with iPhone Xs. Not sure why it’s taking so long when every other app is compatible. UPDATE: Even though the developers haven't updated their app since my last review, the enrollment compatibility issue I was facing on my iPhone XS Max got resolved as soon as I upgraded to the latest iOS 12.1 beta and now receive my work emails on my phone. Tbh, I wouldn't recommend upgrading your primary device to a beta OS (please back up your device before doing so). But if you believe that you absolutely need work emails on your phone, you may try this fix (at your own risk). Previous review: It took them a good 2 weeks to push an update since the release of the new iPhones, but guess what?? They haven’t added enrollment compatibility for the new iPhones on this update either. This is beyond frustrating!!! I previously relied on this stupid software to push my work emails to my phone as that’s what our IT Department has decreed, but for the past two weeks, I have had to open up safari, use two-factor authentication every single time and then log in just to glance at my emails. Apparently VMware, despite being a big player in this sector, doesn’t give a rat’s furry backside about iOS users. What is the point of a mobile device management app that doesn’t work for a mobile device??? I would give it zero stars if I had the option to do so. The app does not work and now I can’t get it off my phone. How did I get it off? When will iPhone X have capability?? If you are one of the latest iPhone owners, it won’t work!! After downloading this app, you cannot access Apple Radio or Browse option unless you’re on Wi-Fi. Forget about listening to music while you’re in the car or if your gym doesn’t have Wi-if! Ever since new iOS update, I am unable to access my Exchange calendar from any 3rd party iPhone applications. I can only access calendar through Apple’s calendar app which is a disaster. I was hopeful for the new Airwatch update but it didn’t fix this issue. Please help- this is essential for my daily workflow. New iPhones lack of enrollment support. How on earth could you not have access to hardware and software as a major developer? Pathetic. The enrollment process is absolutely horrible, the profile downloads don’t work, ruins iPads and makes them unusable. I despise companies and institutions who use this product! My company imposed this on all mobile users. I’d never install this if I had a choice. It has caused lots of company wide email and server problems. Several days it has been ongoing. Stay away from this software. Has anyone been able to successfully uninstall the app? Guaranteed to turn any productive iPhone into a Brick. This app is largely selected as a risk management tool by IT security types with relatively little understanding of iphones. The Airwatch PDF reader and document editing tools are poor and lack the functionality or intuition iPhone users expect. The data encryption is cumbersome, awkward and time consuming. Every attachment takes and additional 15-30 seconds for password entry and decryption. (Even "touch ID" would be an improvement.) The productivity drain for someone who works for hours a day on the iPhone is significant. This app crashes frequently...especially opening its own encrypted files. Our phone carrier Verizon has strongly advised against its use. A significantly lacking tool that users and demotivates employees and savvy road warriors from doing all but the most urgent work. This application really extracts a heavy hidden cost thru employee frustration and non productivity. This app is one of the most challenging and frustrating apps on the iPhone today. When it does work, users spend 15-60 seconds per attachment entering redundant pass codes and waiting for document decryption. (Even on a powerful iPhone X). Four years now after it was first acquired by VMWare, the user experience has improved very little. It This app still doesn’t even support finger print or face recognition. I have to enter the decrypt password 50 to 100 times a day. Corporate users will see decreased productivity as they attempt to attach and forward documents, images, non air watch markups, or other important business information. This app is truly one of the few apps on the iPhone today that significantly decreases productivity and complicates simple smartphone processes. 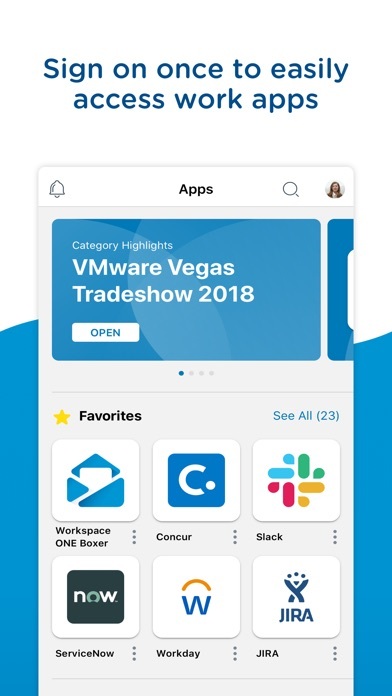 If you're trying to work on the road with Airwatch Content Locker, be sure to bring along a laptop, you will need it if you expect to accomplish anything much more than simple email replies. If you're a corporate security geek, understand what your objectives are before you push this app to your mobile devices. This app will cost your business a lot in productivity. I work at Walmart and enrolled in there byod program and does this erase your device clean? App does not always push e mails. Very intermittent and not dependable. Have to refresh e mail to get new ones despite all account settings. BAD !!! Not good & the support from the SW developer is poor at best. It took over 90mins with my internal IT department to get this resolved.